New Delhi, April 13: The Ministry of Defence issued a statement hours after a French newspaper provided fresh fodder to the Opposition to lambaste the Centre over the embattled Rafale deal. The MoD has categorically dismissed the reports linking tax waivers to Anil Ambani's telecom subsidiary firm operating in France with the procurement of Rafale planes by the Indian government. 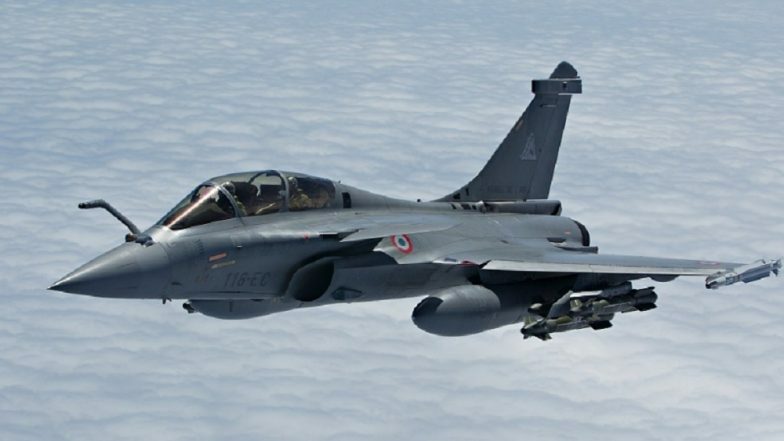 "We have seen reports drawing conjectural connection between tax exemption to a private company and procurement of Rafale fighter jets by Government of India," the statement read. Anil Ambani's Tax Worth 143 Million Euros Was Waived Off by France Months After Deal, Says Report. "Neither the period of the tax concession nor the subject matter of the concession relate even remotely to the Rafale procurement concluded during the tenure of the present government," it further said. Le Monde, a leading French daily, has claimed that the Reliance Flag Atlantic France owed unpaid taxes to the tune of Rs 151 million euros. The period of these taxes dated back to 2007-10. In 2015, when the negotiations for the Rafale deal was underway, the French government agreed to a settlement with Anil Ambani's company, by charging only 7.3 million euros. The 143-million euro tax exemption, the report claims, is linked to the Indian government's deal with Dassault Aviation which involves Ambani's Reliance Defence Ltd as the offsets partner. The tax dispute was settled in October 2015, nearly six months after Prime Minister Narendra Modi announced a rejigged Rafale deal following a meeting with the then French President Francois Hollande. According to the Defence Ministry, the connection being drawn in the Le Monde report is malicious. "Any connections drawn between the tax issue and the Rafale matter is totally inaccurate, tendentious and is a mischievous attempt to disinform," the MoD statement added. Meanwhile, the Reliance Communications also issued a press release in Mumbai, claiming that the tax exemption granted to its telecom subsidiary group is not an act of favour, but in compliance with the applicable laws in France. The legal framework for resolving tax disputes is available for all companies operating in the nation, Reliance claimed.